This collection includes over 250 Sega Dreamcast Games, spanning across 19 DVDs in .cdi format. The games are compatible with a wide variety of emulators including "Redream", "Reicast", "NULLDC", "Chankast" and "Demul. They can also be burned to a CD-R and played directly on the early Sega Dreamcast Consoles. The Dreamcast is the last video game console made by Sega, and is the successor to the Sega Saturn. The Dreamcast is part of the sixth generation of video game consoles and was released in late 1998, before its contemporaries - the PlayStation 2, the Nintendo GameCube and the Xbox. 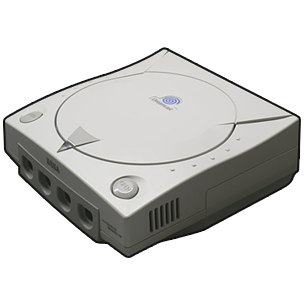 After facing strong competition from Sony's recently released PlayStation 2, Sega discontinued the Dreamcast in March 2001 and withdrew entirely from the console hardware business. However, support of the system continued in Japan where consoles were still sold until 2006 and new licensed games continued to be released. Despite its short lifespan, Dreamcast was widely hailed as ahead of its time, and is still held in high regard for pioneering online console gaming - being the first console to include a built-in modem and Internet support for online gaming. As of 2009, the console is still supported through various homebrew video game releases.